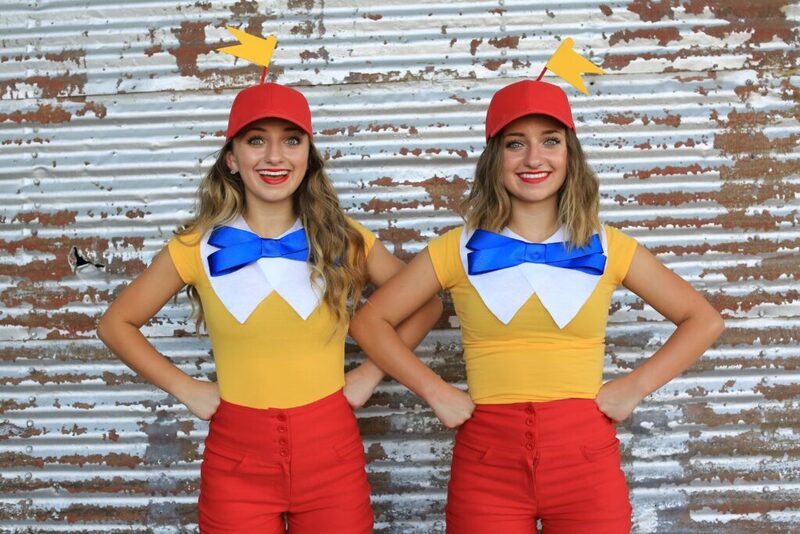 Are you looking for costume ideas for Couples or Friends? 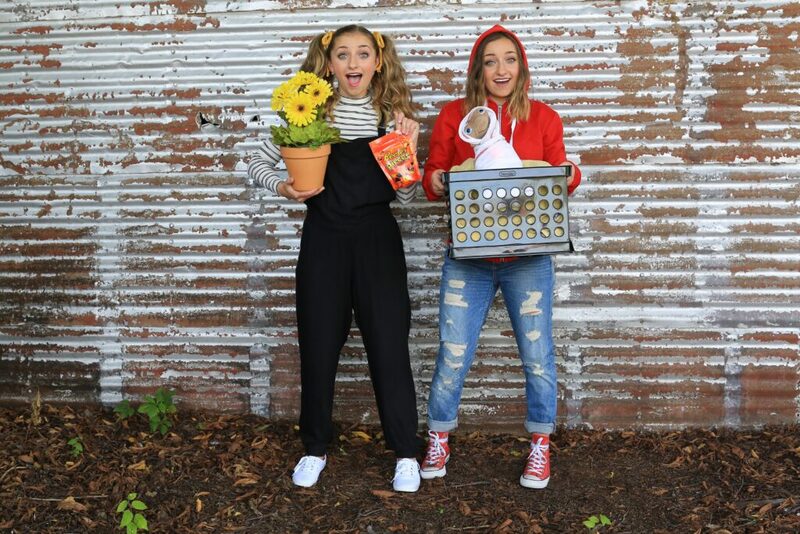 We have 15 super fun ideas from Brooklyn & Bailey. This was so fun to work on! Some of these are a little labor intensive DIY’s and some are very simple. We think you will love them as much as we do! 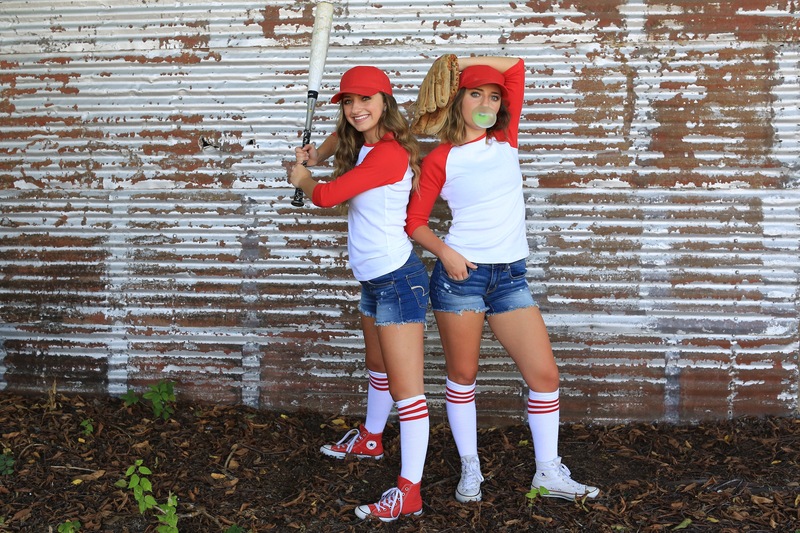 Baseball Players: Amazon can be your best friend for finding pieces and parts to costumes. 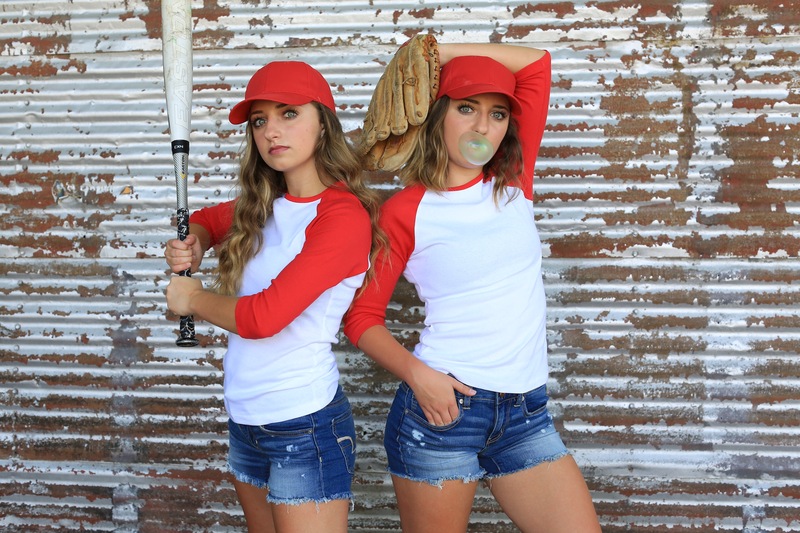 We found these baseball tees, socks and hats and received them in 2 days! (Amazon Prime is the best invention ever!) 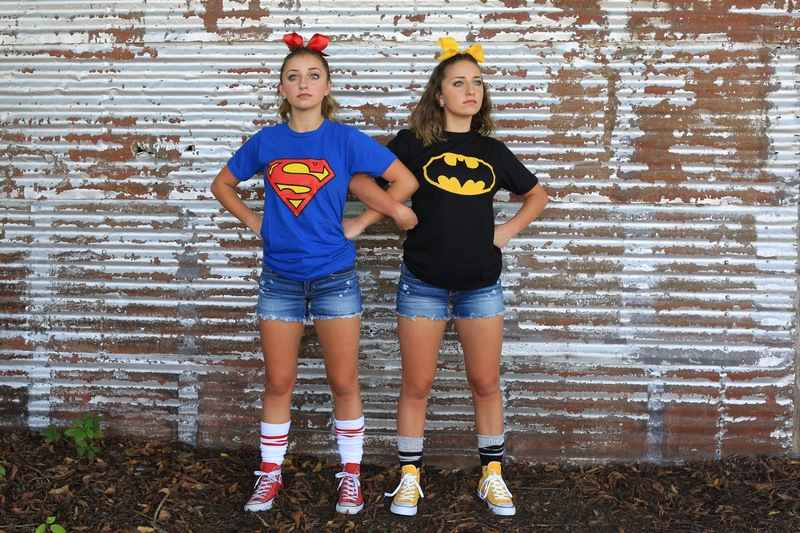 Super Hero’s: Turn a super hero tee, cute socks, converse & a bow into a fun couple or group idea! 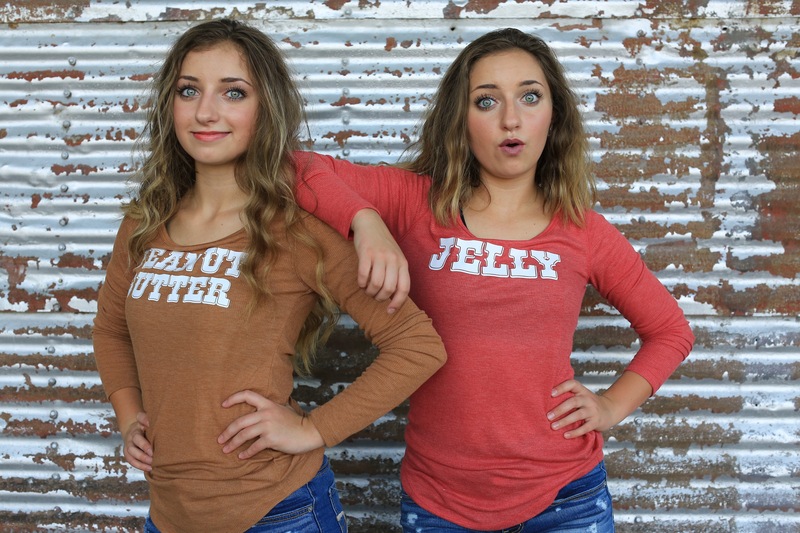 Peanut Butter & Jelly: Who doesn’t love a classic PB&J? 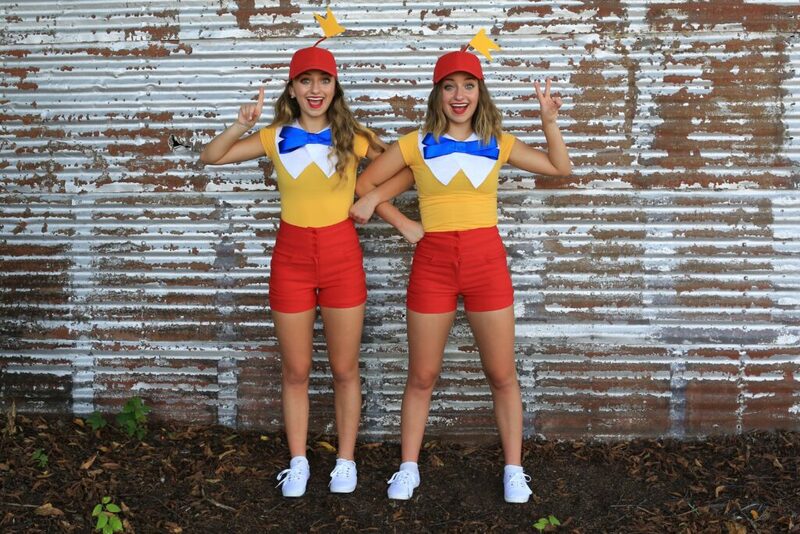 Take a couple of shirts and iron on letters to make this simple costume! Socks were chocolate brown knee-hi’s from Target. 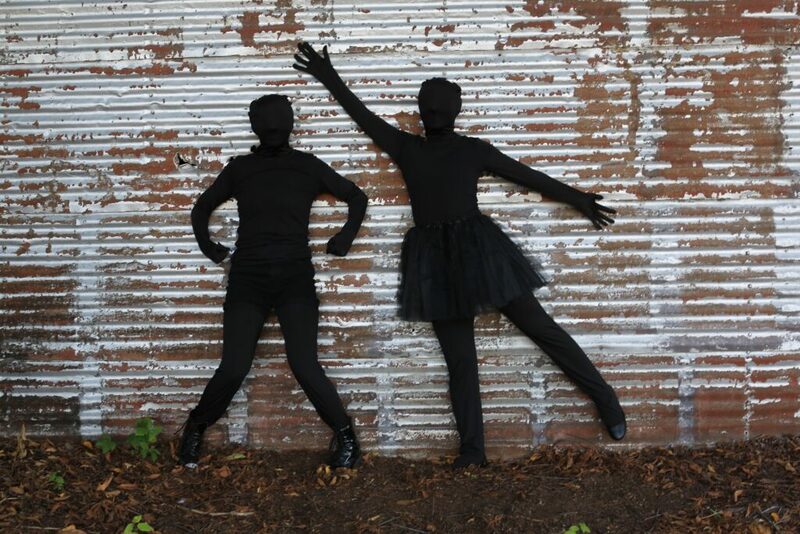 Shadow People: Simply take a black Morph suit, add black clothing & strike a pose! 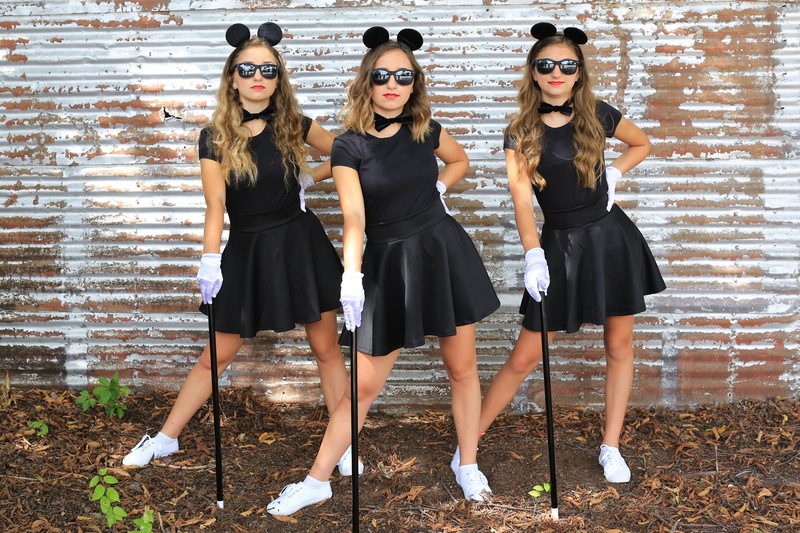 3 Blind Mice: This adorable group costume idea was easy with Amazon! 3 Black skater skirts, black shirts, mouse ears, sunglasses, gloves, canes, bow tie (ribbon tied in a bow), and matching white tennis shoes from Walmart! Loved this one! 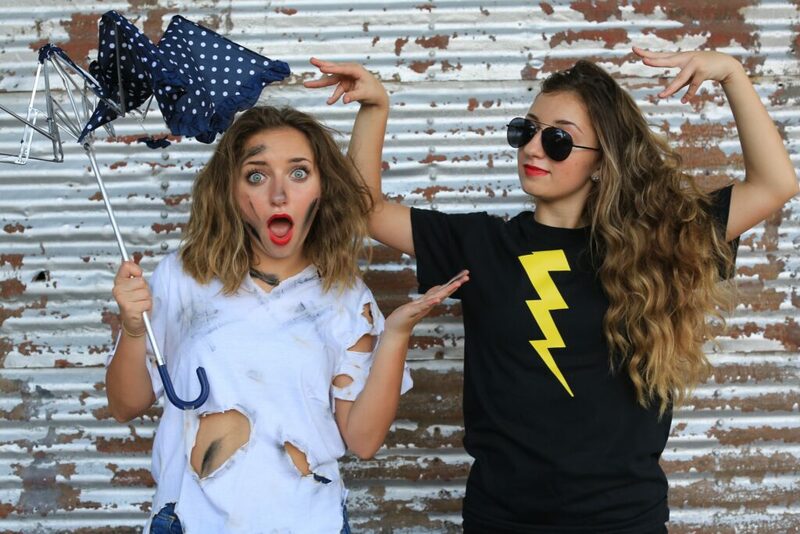 Lightening & Fried: This was so funny we couldn’t pass it up. Cut out a yellow lightening bolt and attach to a plain black T-shirt. For the unfortunate “zapped” person, cut a few holes in a tshirt, find that broken umbrella you have lingering, and rub some black all over for a freshly sizzled look! 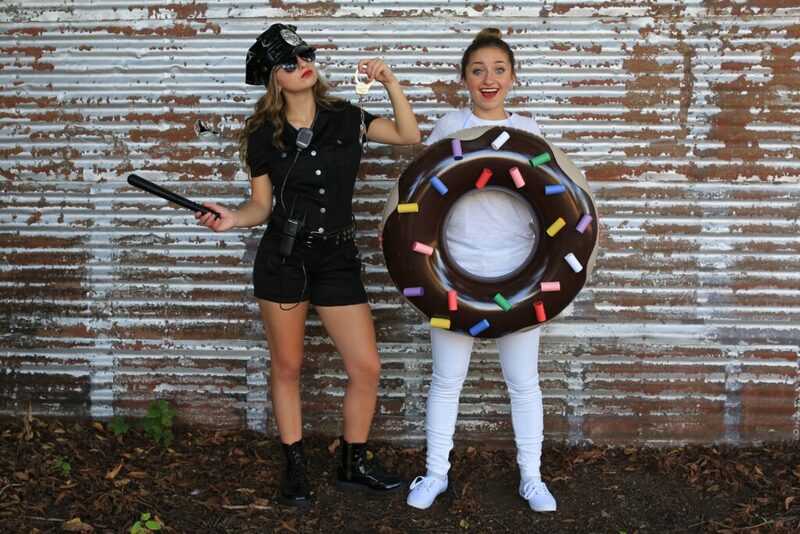 Police Man/Woman & Donut: Haha! Use that old police stigma for this cute idea! Police man pieces were ordered on Amazon. Donut is a swimming pool tube prayed to look like a donut with covered foam curlers used for sprinkles. Snow Men/Women: We don’t usually think of the holidays or winter for halloween. These cute snowmen were different and so easy! 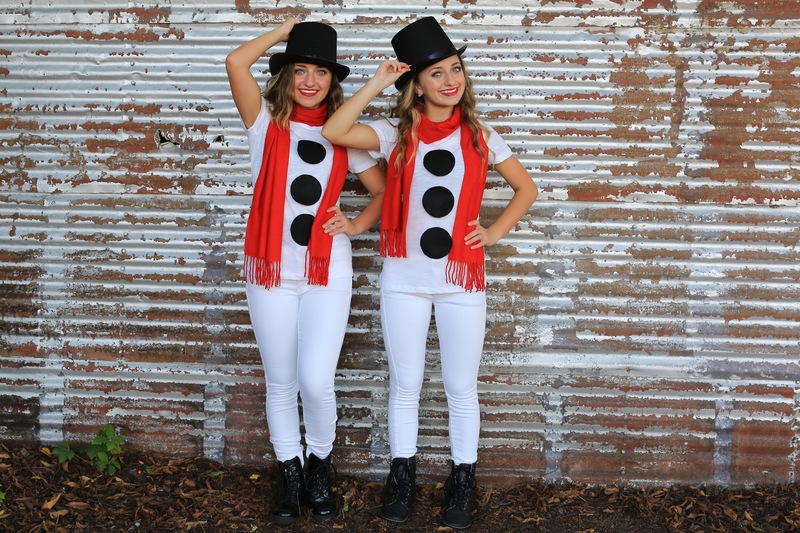 Cut out felt buttons, hot glue to a white tshirt, add a scarf, top hat & boots! 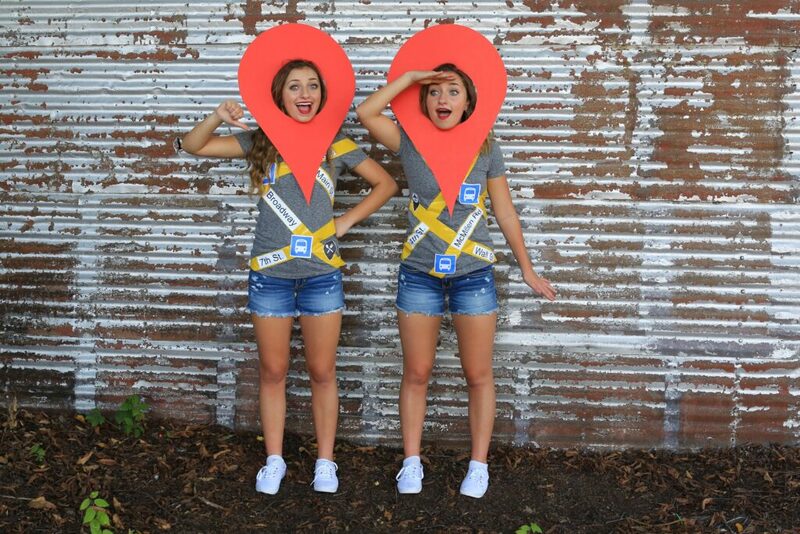 Google Maps: This was a really easy DIY idea using yellow duct tape, red cardboard & printable sticker paper! Tweedle Dee & Tweedle Dum: This famous “twin” duo was cute and easy! Shorts, shirts & hats ordered from Amazon. Make a white bib out of felt, blue ribbon bow, & a flag for your hat. 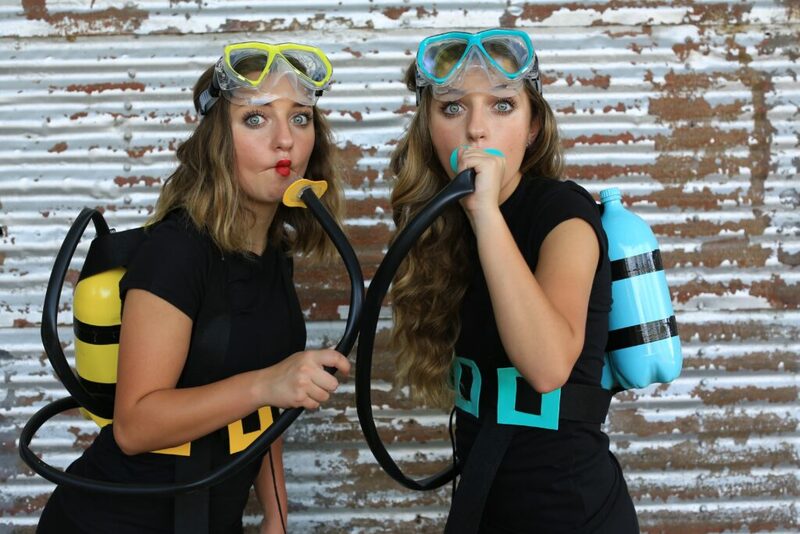 Scuba Divers: There are several DIY tutorials on Pinterest for this adorable duo! The girls wore black leggings, black tshirts and then made the scuba gear out of empty soda bottles, fun foam, felt & some matching spray paint! 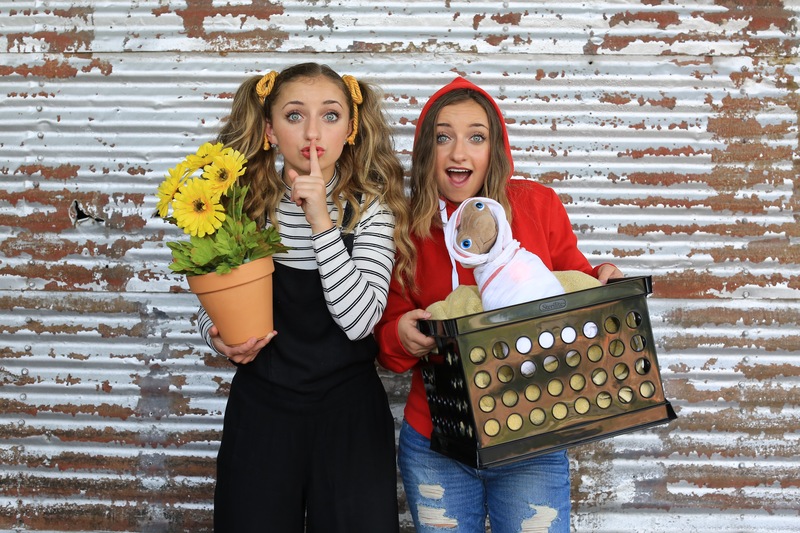 Elliott & Gertie: This famous duo/trio (can’t leave out E.T.) 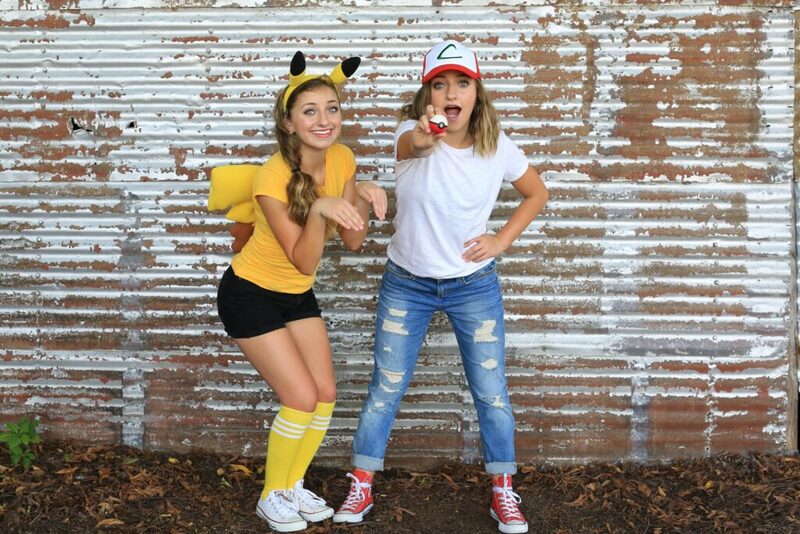 is so cute! You can order E.T. on Amazon and have him on your doorstep in 2 days with Amazon Prime! Pikachu & Ash: With the Pokemon hype, we couldn’t resist this famous duo! Again, Amazon was perfect for simple accessories. 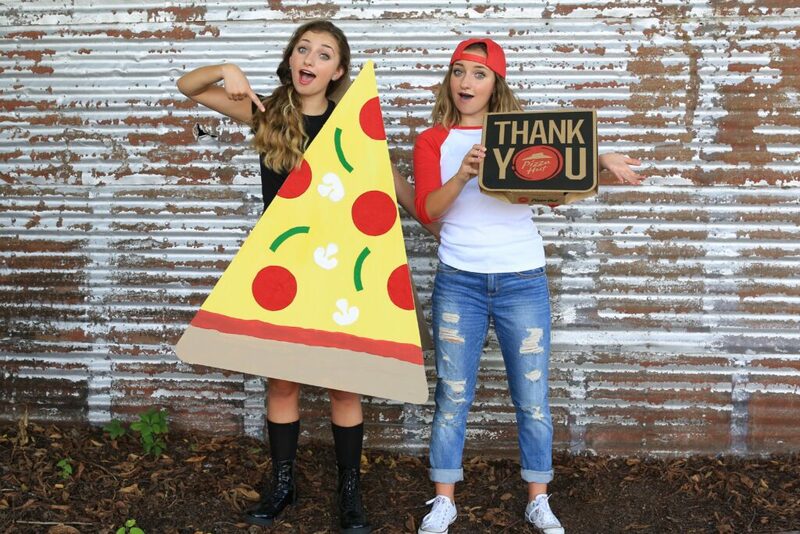 Pizza & Delivery Boy/Girl: Recycle your last pizza box and make a giant piece of pizza out of cardboard and felt for this fun idea. Piñata & Birthday Boy/Girl: Be the party with this cute couple! 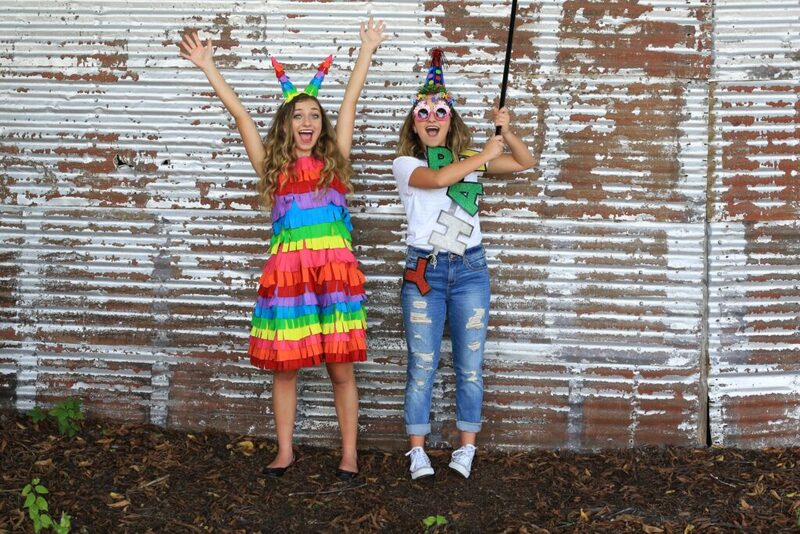 Piñata dress is a DIY by cutting strips of felt, cutting fringe & hot glue to an old dress. Birthday boy/girl accessories are easy to find at your local party shop! Which one is your favorite? Watch Brooklyn & Bailey model all 15 ideas below!